The Modular Servo Workshop (MSW) system has been designed for the study and practical application of basic and advanced control methods. These included typical variable factors such as friction, damping and inertia and a number of position/speed control methods ranging from PID to LQ and time-optimal control. The flexible design of the MLS allows the configuration of a system to be modified to suit user requirements. The MSW has an integrated environment for the analysis of digital servo control problems and synthesis of control algorithms. The system comprises several hardware units, and software. 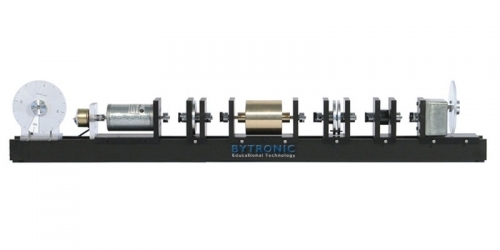 The DC motor module can be coupled with several other modules by timing belts. A number of linear and nonlinear mechanical modules have been designed to show the influence of backslash, damping, elasticity and friction. The units may be studied individually before completing the system. The linear damping module consists of a paramagnetic disc which runs between the poles of the permanent magnet. The inertia module contains a solid metal roll. 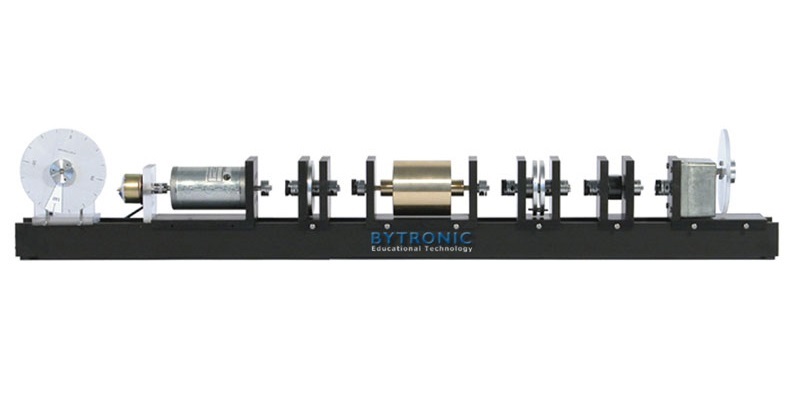 The encoder module is used to measure the rotational angle. A steel base plate provides firm fixing to the modules, enabling imitation of block schematic diagrams, however, all electrical connections are performed inside the software. The system can be classified as multivariable (SIMO) with two measurable states and one control variable. The MSW operates with a PC based digital controller that communicates with the position sensor and motor by an I/O board. The I/O board is controlled by the real-time software which operates with MATLAB/Simulink. A comprehensive range of experiments may be carried out using Modular Servo and associated software.